The site has been designed as an extension to our already well established monthly publication, and within the numerous pages you shall be given an insight into the contents of the current issue. 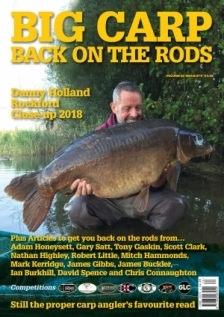 Using a new feature you will also be able to search through our ‘back issues archive’ facility for past articles written by our many authors on a huge range of subjects including, rigs, baits, methods and fisheries. Furthermore once you’ve found the article of interest you will also be able to order and pay for that issue via our new online shopping facility. As well as back issues of the mag, the online shop also gives you the opportunity to buy books from our range or subscriptions to the Big Carp Magazine. We’ll be keeping the site fresh with latest news from the carp scene and to running regular competitions with some great prizes…so don’t forget to keep visiting! 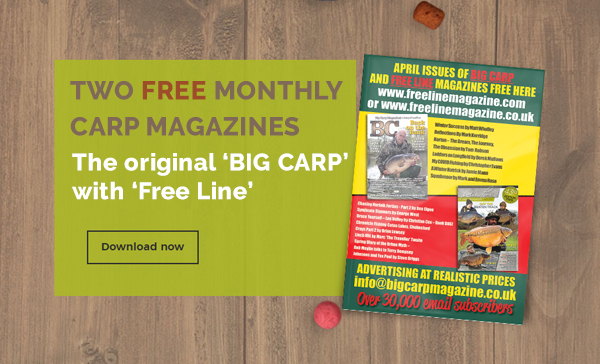 Check out 'Free Line Magazine', a new era in carp fishing magazines. Free Line is the first ever 200 page plus, totally FREE, on-line magazine!